Riaa is my close friend’s daughter and a beautiful little girl. On first glance, you’d never imagine that the seemingly happy-go-lucky child in the picture has gone through much suffering for years and still continues to. It began with the diagnosis that shocked us all beyond belief. In August 2016, Riaa was found to have a condition called DIPG, one of the fastest developing brain tumors. The fact that sweet little Riaa fights a dangerous disease like cancer sends chills down my spine to this day. A primary school student in Carrum, Australia, she began missing classes and was restricted to her hospital bed. Soon after her diagnosis, Riaa began receiving radiation therapy, which continued for nearly a year. 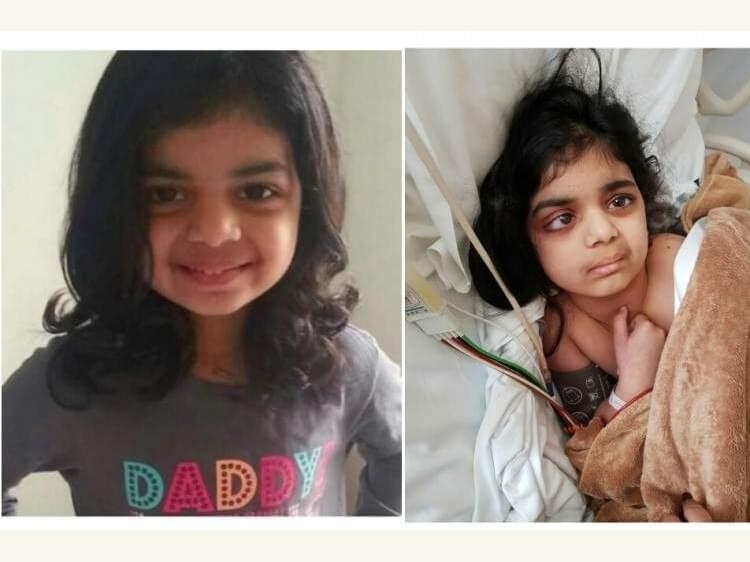 Her parents paid the entire medical bill from their own pockets, hoping against hope it would beat the cancer. However, the nature of the tumour was so aggressive that therapy couldn’t kill the cells faster than they were regenerating. After some contemplation, her parents took a deep breath and decided to let doctors operate on her. The operation costs emptied her parents’ savings. Soon after the operation, the resilient child was back on her feet again. However, merely five months later, in June 2017, her parents were horrified to see her showing the same symptoms again. The doctors were now unable to ensure her recovery in their hands and advised the family to fly down to Monterrey, Mexico where she would receive more effective treatment solutions. Riaa’s parents knew they had to give Mexico a try despite their depleted finances, considering it their last sliver of hope. The community they lived in, Carrum, began their own fundraising initiative to help afford the travel expenses and the second round of treatment. They were able to travel to Monterrey and begin the treatment at Monash Children’s Hospital, but need another Rs 40 lakhs to be able to pay the full medical bills posed to them. Riaa has been suffering for over two years now. I request you to help her family to afford her treatment so she can recover and go back to school. Please contribute and share this page with your family and friends by sharing on social media. Your share could be as good as a donation for Riaa Kulkarni! Not everyone can afford to take care of their loved ones. Riaa Kulkarni's life can only be saved by donations made by kind people like you.